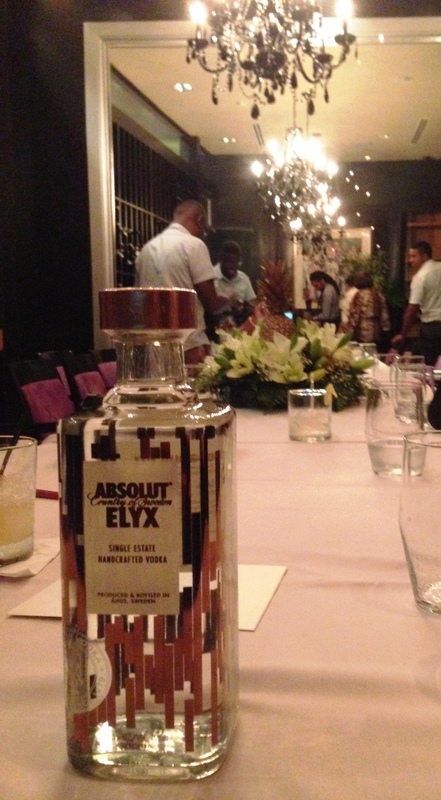 Absolut launched its “Absolut Elyx” at a tasting held at Prime Restaurant on November 23, 2015. It’s easy to see why it’s billed as a luxury vodka – with its limited production run of 250,000 cases and encased in a stunning bottle. What makes it unique is that it’s a “single estate” vodka; made from “winter wheat” grown solely on The Råbelöf Estate in Sweden. The entire process is also “handcrafted,” with the distillation controls operated by hand, unlike Absolut Vodka’s process controlled by computers. Elyx is distilled in copper pipes (you can even see some copper detailing on the bottle! ), which contributes to its distinctive flavor compared to other vodkas. It’s defined as a “sipping vodka” and harkens back to the classic age of cocktails. 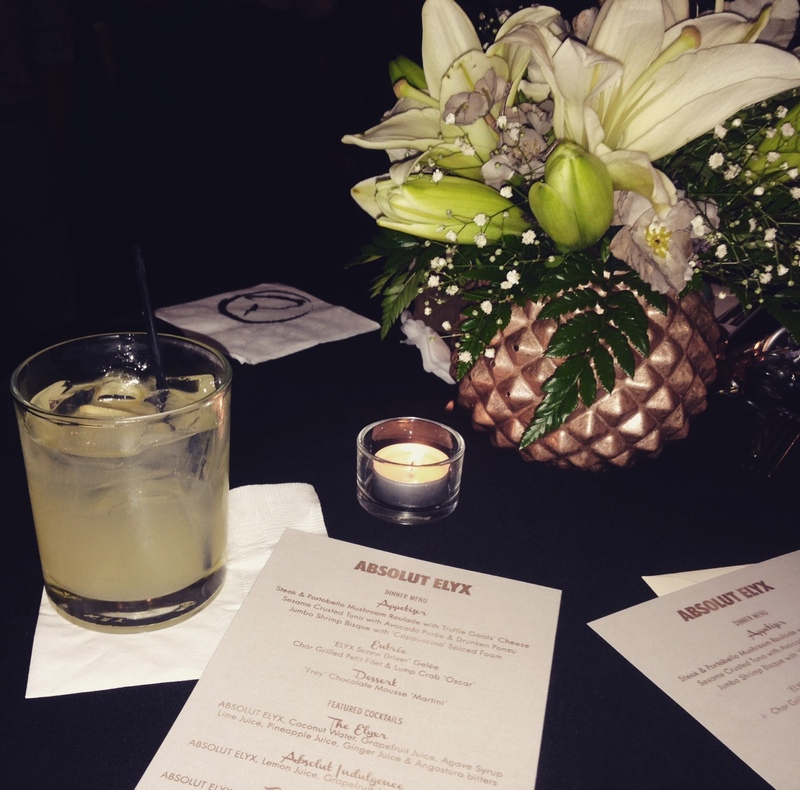 Elyx is made to pair with fresh fruits (such as pineapple) to complement its silky, anise flavor.